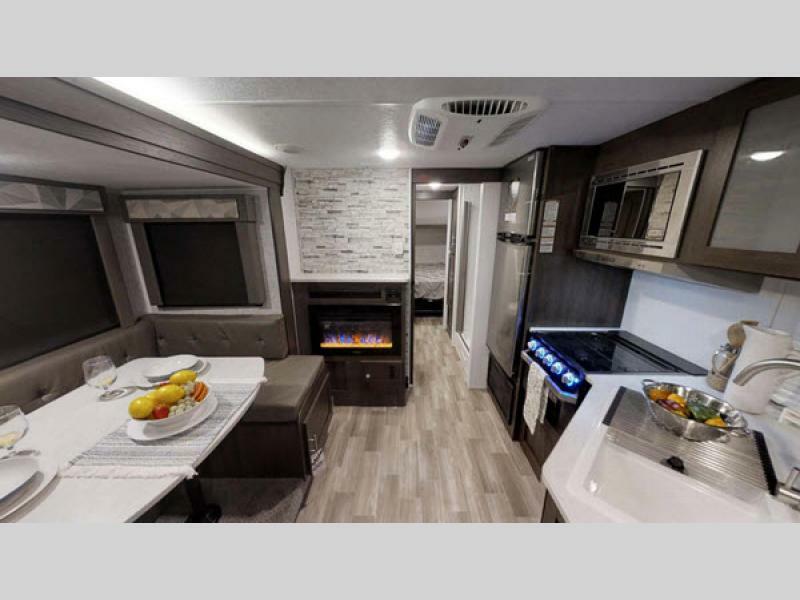 The gorgeous Cruise Lite travel trailer promises you an exceptional living experience wherever you are, without weighing you down with a heavy duty RV. 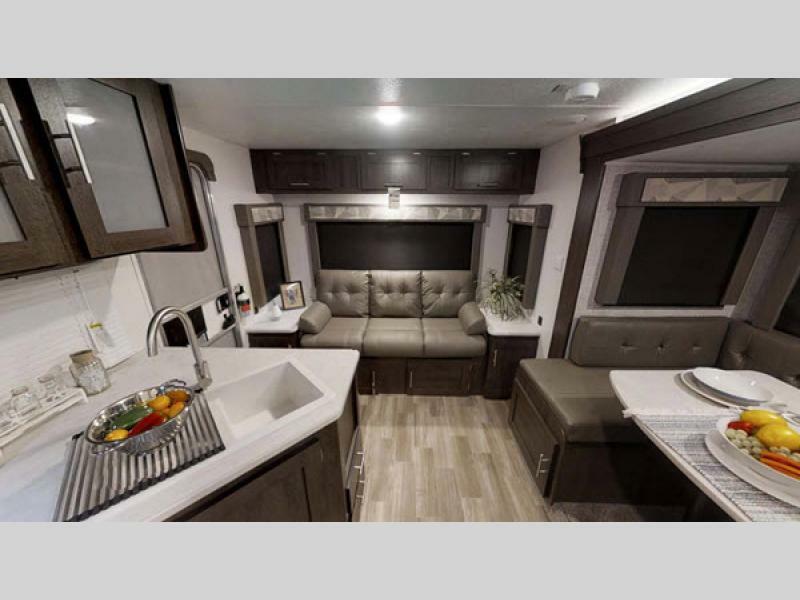 You’ll love how every aspect of this RV was designed to cater to families. Learn more in our 2019 Salem Cruise Lite travel trailer review. A great kitchen is an important part of enjoying your RV experience. Cruise Lite offers everything needed to create great meals for the entire family. Do you enjoying cooking meals and making sure your family always has something healthy within reach? If so then you’ll love how this kitchen offers a delightful cooking experience, lovely appliances, and a wide range of features that are sure to make your time spent in it feel next level. Enjoy some R&R with your partner in your own, private bedroom. At the end of the day it’s nice to know that you have a private space where you can get away from the kids and unwind. Whether reading a book or putting on a movie on the iPad, you’ll enjoy the time you spend with your spouse hanging out, getting caught up and reconnecting, and reminiscing about the memories you made during the day. The Cruise Lite’s living room was made to appeal to families who want to spend time together watching movies, sharing a meal, or playing games on those rainy vacation days. Let’s face it. Sometimes the best laid plans just don’t work out. Oftentimes weather is to blame. The good news is that on those days when the rain washes your plans out, you’ll have the chance to hang out as a family and still make memories in the Cruise Lite’s delightful living room. 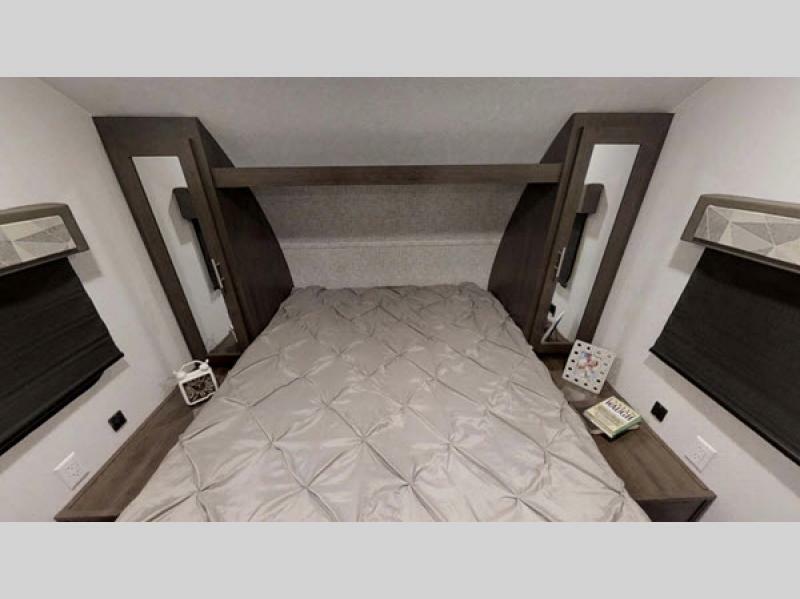 If you’re interested in learning more about our selection of 2019 Salem Cruise Lite travel trailers for sale, contact us. We can answer any questions you have and make sure you’ve got the information needed to make the best decision for your family. We can also assist with RV financing.